It was promised long ago and is finally happening; Terraria is finally coming to PlayStation Vita on Dec. 17. New to this release is cross-platform play where Vita players can interact with those playing on PlayStation 3. There will also be eight-person multiplayer support where you can fight bosses together or do battle against one another. There will be PSN leaderboards and trophies, and also redesigned controls for a smoother experience on Vita. As for new in-game content there will be more than a dozen items, a few new armor sets, and more NPCs to be found in the Terraria 2.1 update. This will be available along with all of the game's original content, allowing for tons of items to craft, monsters to battle, and characters to recruit. 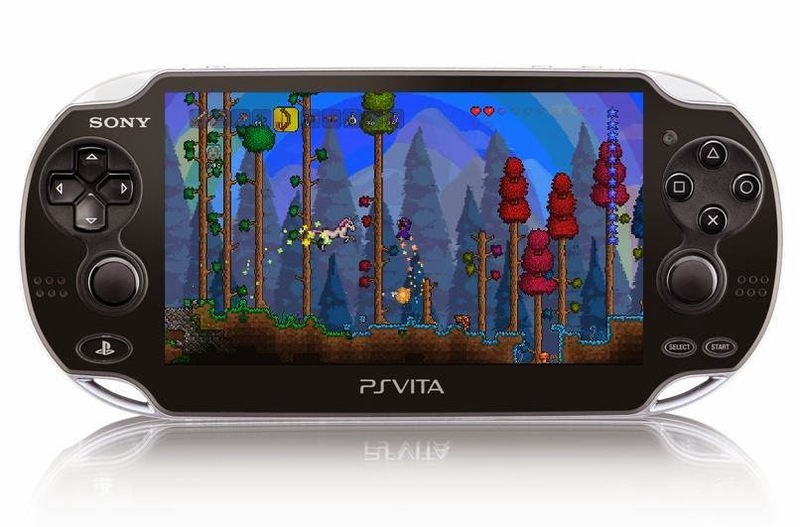 Terraria will be $14.99 on PSN when the store updates next Tuesday.